Duke Energy, the largest utility company in the United States, has set aside $100 million in order to settle a federal grand jury investigation into last year’s huge coal ash spill in North Carolina. The electric utility made the announcement in its earnings report on Wednesday, according to theLos Angeles Times. 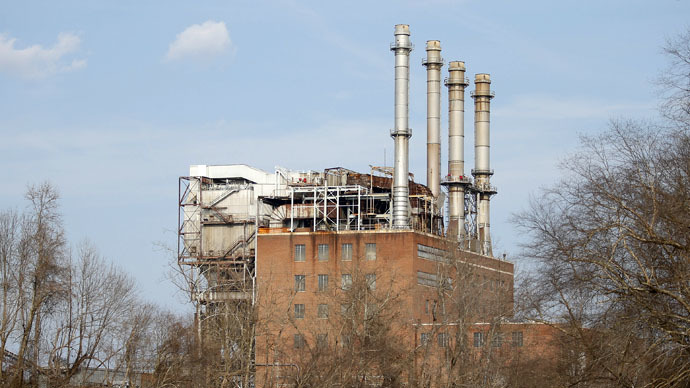 A federal grand jury has been looking into the way Duke Energy manages the disposal and storage of the waste created at its coal-fired power plants ever since the coal ash spill occurred in February 2014. The spill, which unloaded up to 39,000 tons of coal ash and some 27 million gallons of coal ash slurry into the Dan River, was the third-largest coal ash spill in US history. Coal ash is waste left after burning coal that contains arsenic, mercury, lead, and over a dozen other heavy metals, many of which are toxic. While Duke is currently involved in settlement negotiations, it’s unclear what charges the grand jury is considering, and US Attorney Thomas Walker has declined to discuss the issue. Even if Duke resolves the issue, it’s still facing charges from North Carolina’s Department of Environment and Natural Resources (DENR) and activist groups for potentially violating state laws by contaminating groundwater. As noted in the statement, the Environmental Protection Agency has also taken legal action against the company, and it’s unknown if the settlement referred to by Duke would cover that. The February 2014 spill itself affected about 70 miles of the river, though officials maintained that drinking water downstream was still safe. However, recent reports have shown that coal ash leaks continue to take place in the state. Back in December, Duke told North Carolina regulators that more than 3 million gallons of toxic chemicals were leaking near local rivers and lakes every day. The leaks have been traced to 200 different seeps at 14 coal-fired plants. Two seeps in particular leak almost 1 million gallons of waste a day. New legislation, meanwhile, does little to stop these leaks from continuing. Under North Carolina law, the company can either choose to plug the leaks or seek to have them included in wastewater discharge permits granted by DENR, the Observer reported in a separate story. The second option is what Duke and DENR plan to go ahead with. The plan has drawn ire from environmentalists who argue that including leaks in permits does nothing to solve the core problem. The Southern Environmental Law Center, for example, is planning a lawsuit in order to fight the permit plan.